The inaugural Portland Wine Week includes a long list of classes, tasting events, seminars and wine dinners. Usually it’s Portland’s thriving craft beer scene and growing cocktail culture that get all the press. But the city also has an enthusiastic community of people who love good wine, and Erica Archer wants to be sure everyone knows about it. Archer, a sommelier, is best known for her business Wine Wise, which educates people about wine as they sample food at a fine local restaurant, walk the streets of the Old Port, or take a sunset sail around Casco Bay. In January, she began planning the first Portland Wine Week (June 18-24), and in just five short months – with the help of sponsors, more than two dozen restaurants, and a long list of local wine enthusiasts – the affair has grown exponentially into a celebration rivaling Portland’s other big food-and-wine festival, Harvest on the Harbor. As of this week, 11 events were already sold out. Fancy taking a yoga class in the dining room at Scales, followed by a Champagne brunch? Too late. Also sold out is a pasta-making and wine-pairing class with Paolo Laboa, the chef at Solo Italiano. But there are still more than 40 other events to choose from, including a look into the future of canned wines (with sampling) and a peek into the past with rare books expert Don Lindgren of Rabelais, who will lead a talk and wine tasting featuring 200 years’ worth of historical wine lists. Chris Peterman, a local wine distributor who is director of American Sommelier Maine, says he thinks the inaugural Portland Wine Week is going to be “huge” – an event that will be built upon in years to come and create the need for more year-round wine education and wine-related events. 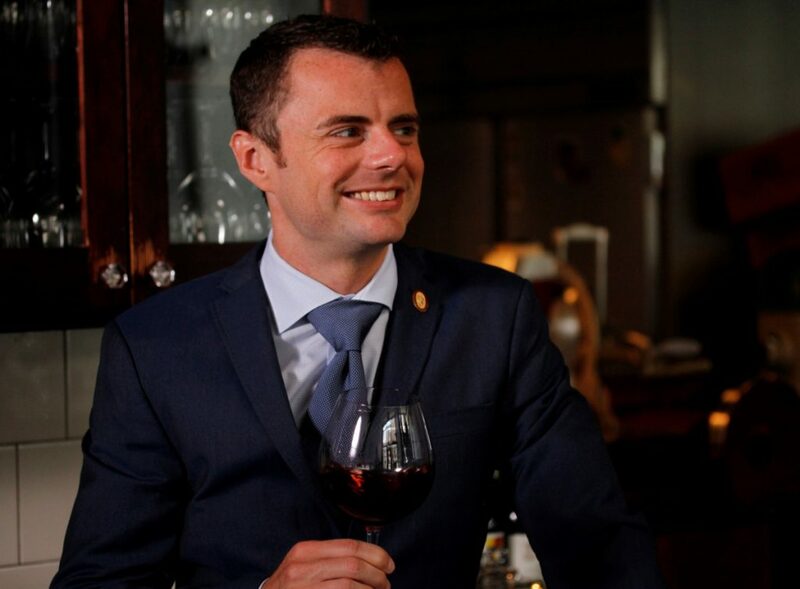 Chris Tanghe, the organization’s chief instructor, is scheduled to teach a blind tasting class at Scales June 18. Damian Sansonetti and Ilma Lopez, chef/co-owners of Piccolo and Chaval, knew two-time Sommelier of the Year Michael Madrigale (Food & Wine 2012, Wine Enthusiast 2013) from their years working in Daniel Boulud’s restaurants in New York City, and invited him to present a June 18 tasting seminar at the Cumberland Club. Archer is perhaps most excited about the opening and closing events for Portland Wine Week. Actually, two opening night parties are scheduled. The first, from 4 to 6 p.m., is a “fine wine lounge” at the Cumberland Club where, for $50, guests can sample some of the best wines that local distributors carry. From 6 to 10 p.m., a grand wine tasting party will be held at Portland’s Custom House. Tickets cost $40, or you can buy a ticket to both opening events for $80. (If you taste something you like at either party, you can order a bottle on site.) Maine Limousine Service, a sponsor of Portland Wine Week, will offer free transportation between the two events. The week closes with a five-course gala wine dinner at O’Maine Studios, featuring dishes from five top Maine chefs and entertainment in the form of circus aerial performances. If you know nothing about wine, don’t let that keep you away, Archer said. Pick a tasting or a seminar, and learn from the questions that others ask.